One of the top upgrades a homeowner can make to their house is installing a newer metal roof rather than a traditional asphalt shingle system. Not only are metal roof types affordable and more durable than asphalt systems, but they offer increased protection against wood rot, fire damage, and even invasive pests. Where the typical asphalt shingle roofing system can last anywhere from a decade to 20 years with proper care and maintenance, some metal roofs can endure up to 50 years of dedicated protection. When you need to buy something once, a metal roof is a top home investment consideration. However, even the best roofing materials require maintenance services from time to time, even if they aren’t as prone to leaks and missing tiles like asphalt systems remain. Whatever the reason for your roofing repair service call, no one provides the best quality of finish like Full Draw Construction. When you’re searching for the best value on standing seam metal roof options, we are always the affordable and convenient option every day. No else around knows their way around corrugated metal roofing. Don’t trust any service provider. Make sure you’re getting the best and call today. There are a variety of styles and choices when it comes to building your better metal roofing system. 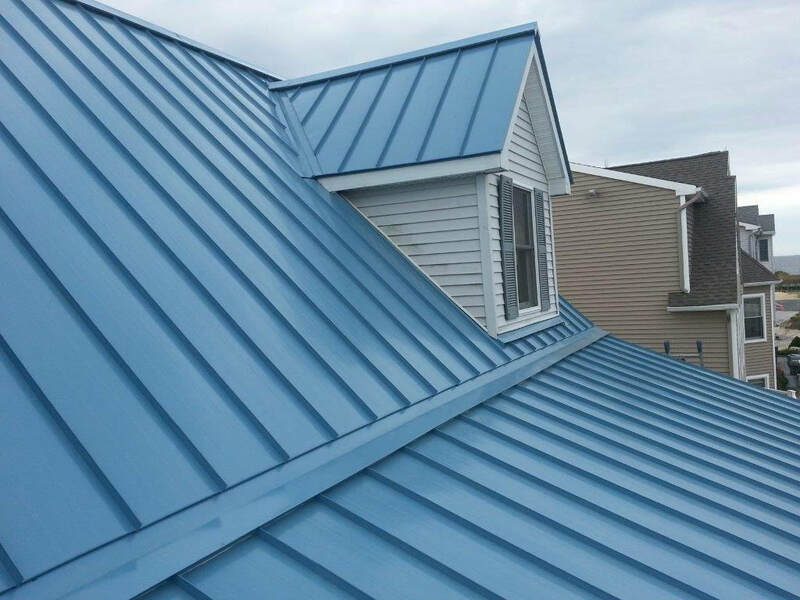 Whether you prefer the appearance and feel of corrugated roof panels, standing seam systems, copper roofing and more, we offer more ways to save each time. We have the experience you can trust to repair, replace, and install any form of metal shingles that you prefer. Our primary concern is leaving you with the peace of mind that your new roof will last a lifetime. Each style and material type have its particular pros and cons, as well as cost considerations. However, whether your home improvement budget is strict or unlimited, we have the best solution for any request. No matter which metal shingle is best for your house’s needs, they all provide increased protection against more forms of environmental threats. Even lightning poses less of a threat than asphalt shingles, and your risks of bolts starting a fire become drastically reduced. When you need increased protection for your property and your family, a metal roofing system can save you a ton on superior defense. 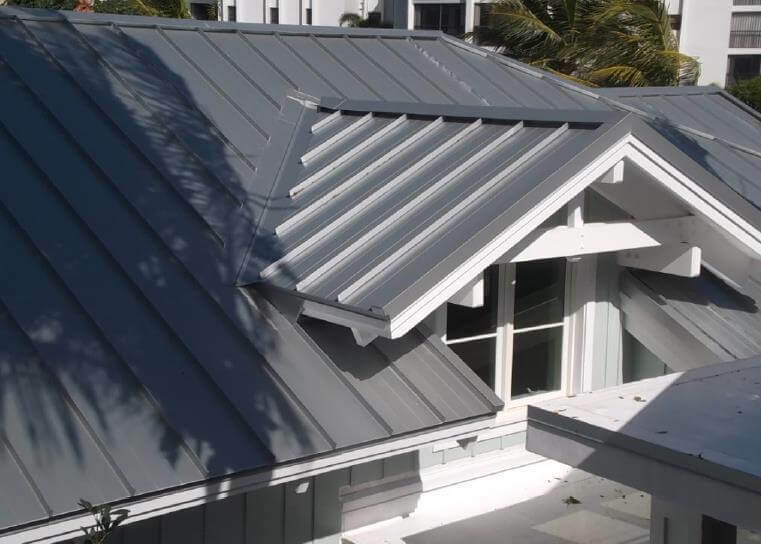 Call our team of expert installers today to receive the best metal roof solutions. When you need increased protection and style, steel roofs do it all with sealed sheets and acrylic coatings. Their dense shingles get coated with zinc for superior UV defense against daily sun exposure, as well as offer the possibility to get painted in a variety of different colors. Copper roofing sheets offer the same benefits as other metal types while remaining lightweight, durable, and attractive. The brighter metallic copper sheen is sure to turn heads while leaving you well protected for longer. Call Full Draw Construction for your free quote. 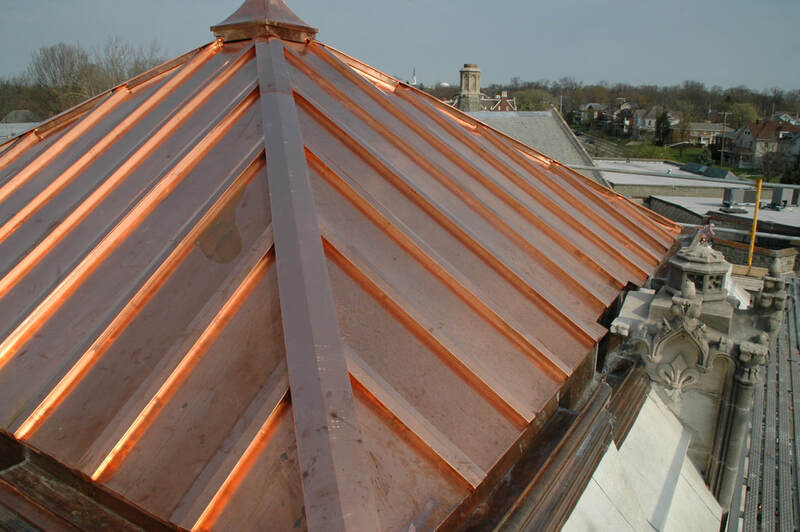 We install the trustworthy copper roofs.